SHORELINE, WASHINGTON, UNITED STATES, October 1, 2018 /EINPresswire.com/ — When most people think of the full moon they usually associate it with people going a bit nuts or acting out in some way. The truth is the moon’s energy has a spiritual purpose that is directly related to an astrological alignment that takes place each month on the day of the full moon. Karen Johannsen is an extraordinary individual that can educate us on how we can reap the benefits of the full moon’s magic. 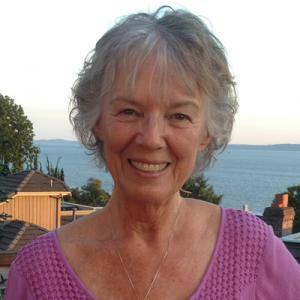 “My passion and purpose is to instruct people about the spiritual significance of the full moon,” says Karen. “We can use the energies of the full moon to heal ourselves and the planet if we understand how it works. In my book and card deck I explain how to work with the astrological signs of each month in a way that will uplift and heal. When we mediate and open ourselves to this energy we can experience expansions of our own consciousness allowing its power to enter the world as a healing force. The five-day period around the full moon involves two days of preparation to raise our vibrations, so that the energy of the full moon will stimulate the highest that is within us. Then the day of contact, in which we open ourselves to receive those energies. The following two days we become aware of ourselves as a radiatory influence, distributing the energies outward into the world.